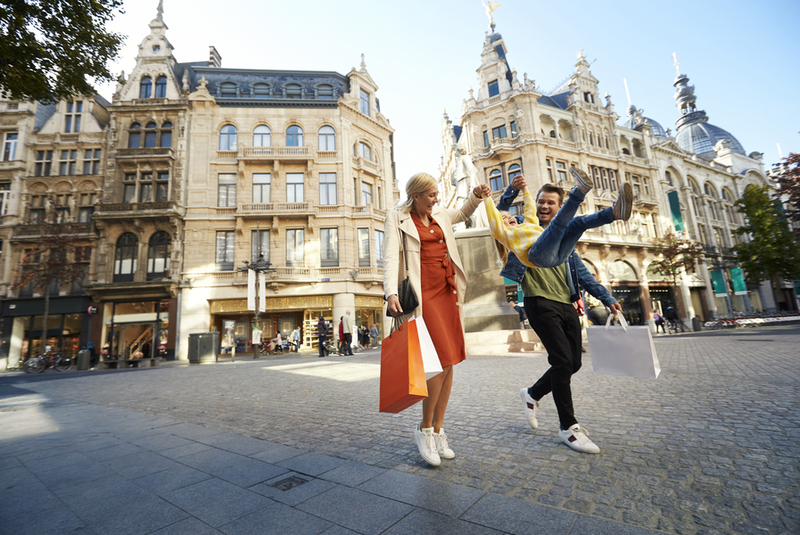 Let yourself be surprised and enticed by Antwerp's extensive shopping offerings, ranging from major fashion houses to trendy boutiques, and from small and independent shops to groundbreaking concept stores. Every first Sunday of the month, a large selection of shops are open in the centre of Antwerp. Come shop and combine it with a visit to the numerous restaurants & cafés; museums, markets and points of interest. Because shopping in Antwerp is ... knowing where you begin but not where you will end up. The retailers in the historic city centre welcome you with open arms every first Sunday of the month. 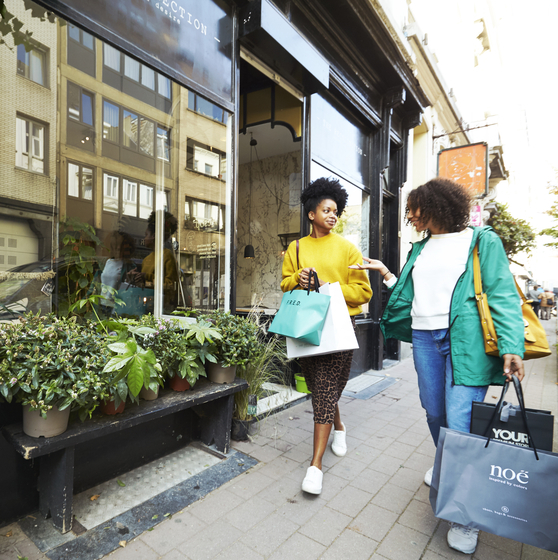 You can shop ‘til you drop in the following streets and neighbourhoods: De Keyserlei, Meir, Diamond district, Wilde Zee, Fashion district, Hoogstraat, Kloosterstraat, Steenhouwersvest, Kammenstraat, Groenplaats and Zuid. It is recommended to come to Antwerp via public transport. 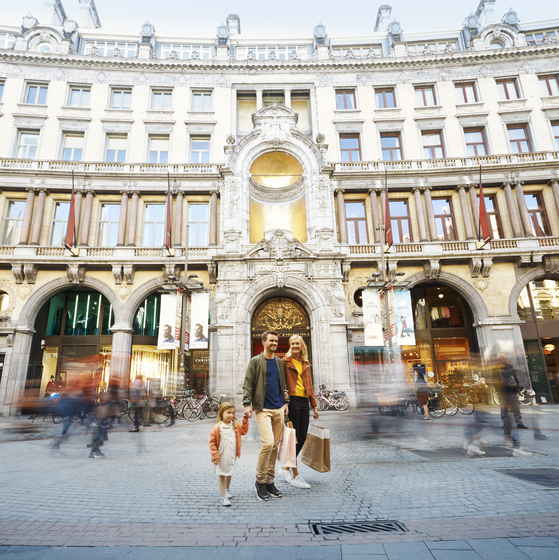 If you come by train to the Antwerp Central Station, you will be in the heart of the shopping district witinh a quick 5-minute walk. In the city, you can easily get around on foot, with a (shared) bicycle, a (shared) step or a (shared) scooter. 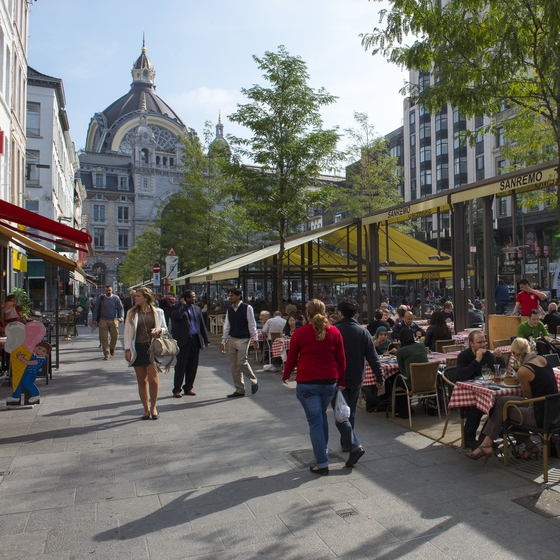 In order to better the air quality, the city centre of Antwerp is a low-emissions zone since 2017. If you do, however, come by car, we advise you to get out at one of the many park-and-rides along the outskirts of the city to then use public transport. Use the multi-modal route planner by "Smart Ways to Antwerp" via computer or App for custom-made travel advice. 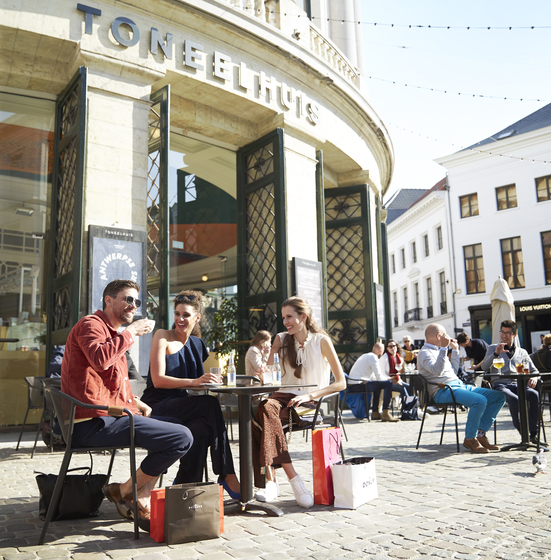 You can enjoy free Wi-Fi on the shopping route which runs from De Keyserlei, Leysstraat and Meir to the KBC Tower. Free Wi-Fi is also available on Groenplaats, Grote Markt, Oude Koornmarkt, Suikerrui and Steenplein. Search for ‘Antwerp Free Wi-Fi’. The diamond centre of Antwerp - and of the world - is located near Central Station. The most exclusive jewels await you here.